U Venture – Page 39 – Life learning made practical. Three years ago I embarked on a much needed retreat back to Europe where I had once lived. Accompanying me was an old friend from the past… a large book that was a collection of Ralph Waldo Emerson’s writings. There was this wonderful transformational moment in this little known town in the valley of Slovakia called Banska Stiavnica. It had taken a few friendly Slovakian women who didn’t speak English to guide me through two bus transfers and a windy road to get there. But there I found myself in a small bench in a quiet garden where I sat alone for a few hours reading Emerson. In that moment of silent communion with a spirit of the past, was the birth of a new part of me that realized I had to chart a new course guided not by my social status, my friends, my family, but by the light of something more eternal. Humanity and life was calling me to do more. Avoid the temptation to answer this question right this instant, but instead feel how big and important this question is. Is it just your needs, the needs of the family, or the needs of humankind? Is history a social studies course we take in school or is it filled with lessons of who we are? You might have images of a rapidly dwindling fresh water supply, hundreds of thousands of bodies from Rwandan genocide, sprawling North American cities with an insatiable consumer appetite, 6.5 billion people on a small planet, rise in fundamentalism all areas of the world, or perhaps it’s the paucity of the human spirit, the sweeping feelings of helplessness or cynicism, the lack of thoughtful, caring, and creative individuals. Or if none of these images resonate, what has you turn away from it? For those that look, there is a great pain in the world that is so enormous, it makes you want to crawl back into bed and go to sleep. Or in my case, I’d much prefer to go back to playing on my computer where things make sense. Luckily the awareness of the issues at home and abroad is growing and it helps me to know that there are people like you who care enough to ponder, to investigate. It is heart-wrenching to see the needs of the world. It is so frustrating that we are exasperated, “why can’t we just fix it?”. But so often we try to fix it and we fail at it. Why is it? It’s the old adage of “we can put a man on the moon, but we can’t feed everyone even in our own nation”. I often go back to an illustrative story from Ronald Wright’s A Short History of Progress. In it he talks about Easter Island where one can find haunting statues on a desolate island. We wonder whether there was some mystical force at work here. But the actual story is more chilling. The islanders built these statues to honour their ancestors, but this led eventually to rivalries that resulted in ever larger statues. Statue cults were formed claiming that the ancestors demanded their worship. Unfortunately, building these statues used up more resources than the island could handle. The forests were wiped out – the same forests needed for shelter, fire, and tilling of the land. The land became acidic unable to grow crops. The citizens ended up eating all the animals including the birds, the dogs, the rodents which only increased their isolation. It wasn’t long before war ensued resulting in the complete destruction of the people. Who was at fault? What went wrong? There was no disease, no external threat. This was a place where you can stand on the highest point and see the entire island. Who was the idiot that cut down the last tree? Well I’m going to ‘fess up. It was me. It was also you, and it is also us. The Easter Islanders were human beings and the tragic flaw in the character of their society is also in us. It isn’t hard to imagine us cutting down the last tree, polluting the last litre of water, or killing the last fish in the sea. Will we always be doomed like the Easter Islanders to cut down our last trees for the sake of imagined stories? There is hope though. We are more aware of the challenges than ever before. We have put a man on the moon. Surely we can also put the beauty of the moon into our character. Looking at the many endeavours of humankind, we can find many examples of where we have succeeded in overcoming challenges. We managed to figure out how disease works and how to fly in the sky. We have also written about the spirit of a noble character as well as found ways to rise above adversity. The answers cannot be found in one person, one community, or even one generation. They can however be found in the collective striving of thoughtful, caring individuals who open their eyes to the world around them and the complex stories that run inside them. This is why it is called the Human Venture and not one man’s venture. Are you willing to begin your own leadership journey so that you too can contribute to the venture? Will you “dive deep and swim far” through your thoughts and actions? Will you be a part of the thrilling adventure of being human? This article is excerpted from Chris Hsiung’s presentation at the Leadership Calgary breakfast orientation March 31, 2007 at the Chamber of Commerce. For more information about Leadership Calgary, see www.leadershipcalgary.ab.ca. Chris Hsiung graduated with distinction from the University of Calgary in Electrical Engineering. He is a certified professional coach through the Coaches Training Institute (CTI), accredited by the International Coaching Federation (ICF). He is learning, teaching, presenting curriculum through Leadership Calgary. Currently he runs a practice (U Venture) guiding and coaching professionals who are choosing to engage in significant life challenges. Today I could not get my schedule right. I went to two meetings that did not exist. Apparently my sense of the week is shot… but as a result I got to watch an illuminating PBS show with Bill Moyers on media complicity in the Iraq War. In an interview with a CNN reporter: everybody on staff knew not to do anything too critical of the administration. 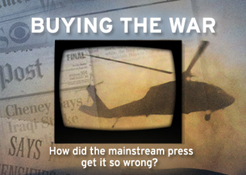 When the media focused on civilian deaths, there was pressure from corporations, white house officials, and hundreds of threatening emails stating that they were being anti-american. CYH: The usage of patriotic fervor was a powerful way to silent any dissent. Who would want to be part of the outgroup? Bio-social drivers get activated easily. How did the administration beat the drums of war? * Putting up an Iraqi dissenter (Chaliby??) to criticize about Sadaam even though Chaliby was a con man who is part of a group that wants a regime change. He was also paid hundreds of thousands for his cause. * Cheney used the information revealed in the story on the talk show. Classic case of government planting story and then confirming it on TV. PHIL DONOHUE: You didn’t have him alone. He had to be there with someone else who supported the war. In other words, you couldn’t have Scott Ritter alone. You could have Richard Perle alone. You could have the supporters of the President alone. And they would say why this war is important. You couldn’t have a dissenter alone. Our producers were instructed to feature two conservatives for every liberal. CYH: Connects well with what Lakoff has to say. Conservatives are just better at strategically getting their message out! 1) Kurd (enemy of Saddam) had been allowed into Top Secret facility? How could his testimony be considered accurate? 2) Why would Sadaam put chemical facility under residence? 4) Different stories had different points of information… all information provided by defectors were proved false a year later after invasion. Journalists from Knight Ridder were outside of the bubble and they did a much better job at finding the truth. In fact, they proved that the truth could be found. Problem was that media got all their information from the top-level officials. CYH: Why was the UN inspector reports totally dismissed in mainstream media? There were many eyes (spy satellites, inspections, etc.) on Iraq and none indicated that there were nuclear weapons being developed. CYH: By the way, Knight Ridder was bought out by the McClatchy Company (http://www.mcclatchy.com/100/story/179.html). DAN RATHER: This is journalism on the cheap if it’s journalism at all. Just pick up the phone, call an expert, bring an expert into the studio. Easy. Not time consuming. Doesn’t take resources. And– if you– if you’re lucky and good with your list of people, you get an articulate person who will kind of spark up the broadcast. WALTER ISAACSON: One of the great pressures we’re facing in journalism now is it’s a lot cheaper to hire thumb suckers and pundits and have talk shows on the air than actually have bureaus and reporters. And in the age of the internet when everybody’s a pundit, we’re still gonna need somebody there to go talk to the colonels, to be on the ground in Baghdad and stuff and that’s very expensive. CYH: It’s easier to not think. It’s also cheaper. CYH: Well this definitely convinces me that the conservatives were really smart at how they sold the war. Actually it seems that the administration learned from all the previous administration in how to sell the war. I remember reading an article in UTNE at reading the signs when a country is gearing up for war (Elizabeth suggested this article: http://www.commondreams.org/archive/2007/04/24/708/). Do we have the ability to read the signs and stop and think before going past the point of no return? On December 10, 1948 the General Assembly of the United Nations adopted and proclaimed the Universal Declaration of Human Rights. Following this historic act the Assembly called upon all Member countries to publicize the text of the Declaration and “to cause it to be disseminated, displayed, read and expounded principally in schools and other educational institutions, without distinction based on the political status of countries or territories. The purpose of this exercise is to conduct very brief research linked to some aspect of the Universal Declaration of Human Rights and then find links to the concepts of Adaptive Positioning (# 11, 12, 13), Orienting Stories (# 21, 22, 23, 28), and Pathways to Wisdom (# 27). Supporting concepts might include Orienting Story Strands (#28), Personal Essential Story (# 112-115) and Life Progress Path (#12). We invite you to explore one of these people (or another person or organization/issue of your choosing), however remember that you only have 40 minutes. A list of resources is available to you, as well as electronic and hard copy materials. We will come together and use the following questions as a guide for a fifteen minute discussion. 1. To the extent that progress was made in this case, what adaptive positioning capacities were present in these progressive leaders/institutions? 2. How were these adaptive capacities developed? – What was the role of these key individuals and what disciplines, orienting stories and creative realization capacities (action/learning commitments) were they developing and drawing on? – What resistance/obstacles/barriers had to be overcome? 3. What signs do you see that lessons [about developing and applying the adaptive capacities illustrated in these cases] have been, or are being learned and embedded in our institutions, communities and culture? Or are they? I challenge you to answer some questions about your own spirituality in the spirit of a great conversation that digs deep into the meaning of our own lives. Baring our essence and identity to the potential judgment of others is not easy, but it is also too important to leave hidden in our individual selves. Without sharing, how could we understand? So in preparation for the spirtuality workshop, I have a few questions for you that you may answer on these pages or you may answer for yourself. You may want to answer the question you want to ask or you may want to answer just one of the questions. What roles or functions does spirituality play in your life? How does spirituality connect you to the human venture? What does spiritual discipline mean to you?